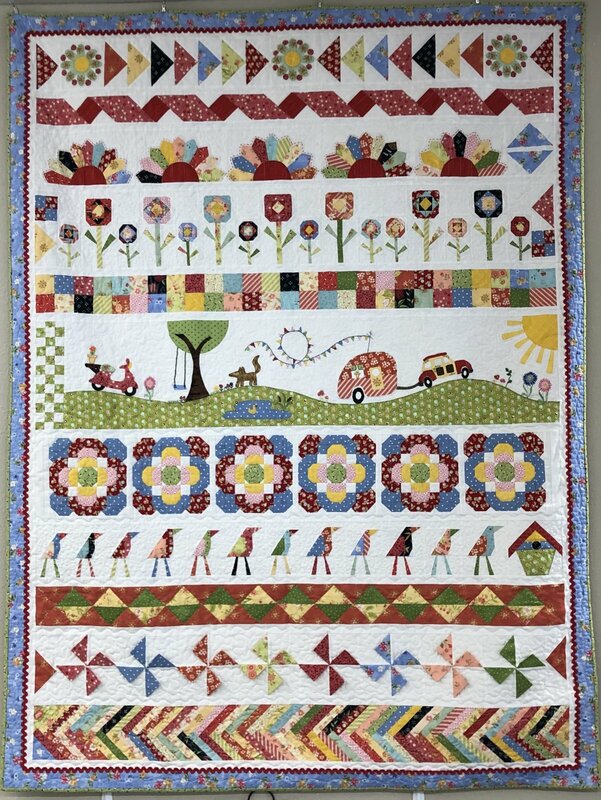 Join us once a month in 2019 to make this gorgeous Row of the Month Quilt. Each row is made in order of difficulty ~ so your skills grow with your quilt. How great is that! Learn prairie points, chain piecing, flying geese, reverse applique, paper piecing and much, much more. And when you are done you will have THE most adorable row quilt EVER!!! See flyer & The Quilt Parlor for details & questions.